Buying a gun for someone who is prohibited by law from possessing one or for someone who does not want his or her name associated with the transaction is a "straw purchase." An illegal firearm purchase (straw purchase) is a federal crime. An illegal firearm purchase can bring a felony conviction sentence of ten years in jail and a fine of up to $250,000. Buying a gun for someone who can't can cost you your good name and land you in big trouble. Never buy a gun for someone who is unwilling or unable to do so. 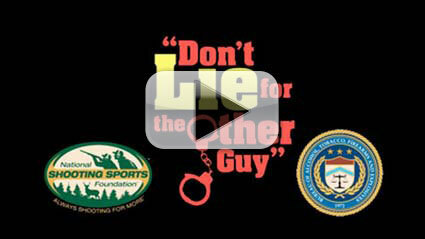 Whatever you do, Don't Lie for the Other Guy!